Vitamin D foods may be better for you than you know. There are a few reasons that vitamin D deficiency is running rampant — not the least of which are changes to the modern lifestyle and diet in recent years. Humans need the sun to produce vitamin D. And if you’re not getting enough sun, your body can’t produce this necessary vitamin. So, just how much vitamin D is recommended for the average person per day? While there are vitamin D supplements out there, you can also get your vitamin D from several different foods. 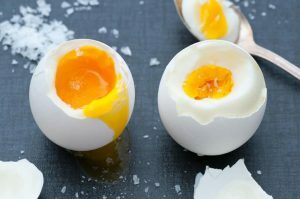 Here are five foods that can help get you your daily dose of vitamin D.
Not only are eggs tasty, versatile, and protein packed… they’re also an excellent source of vitamin D. Now, if you choose to get your vitamin D from eggs, don’t toss out the yolks. Now, believe it or not, there’s only one vegetable that can supply vitamin D. It’s the mushroom! Strangely, when exposed to UV radiation, mushrooms become an abundant source of vitamin D.4 It is true that mushrooms produce a slightly different type of vitamin D than humans do, but it’s effective nonetheless. Just make sure the mushrooms you buy are exposed to UV light. Now, mushrooms don’t need a ton of light to grow, but if you look for mushrooms grown in sunlight, or vitamin D fortified mushrooms, you’ll find the D content goes a long way! 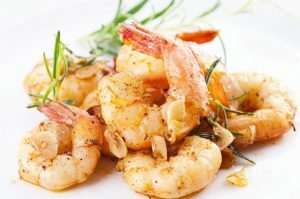 Another great bonus for adding shrimp to your diet is the omega-3s they contain! So fill up. Your body will thank you. Another healthy gift from the sea, salmon is a go-to seafood for so many people because of its rich flavor and versatility. Not only that, salmon is chock full of vitamin D. In fact, the USDA says that a 5-ounce serving of salmon boasts about 800 IU of vitamin D.6 So, dig in! One of the best comfort foods is a tuna melt. And you don’t need fresh tuna to make it oh-so-good. A can of tuna is super flavorful, and you can keep it in your pantry indefinitely. Another great benefit to purchasing tuna in a can — it’s affordable! But did you know that a can of tuna has about 150 IU per serving? It’s true. 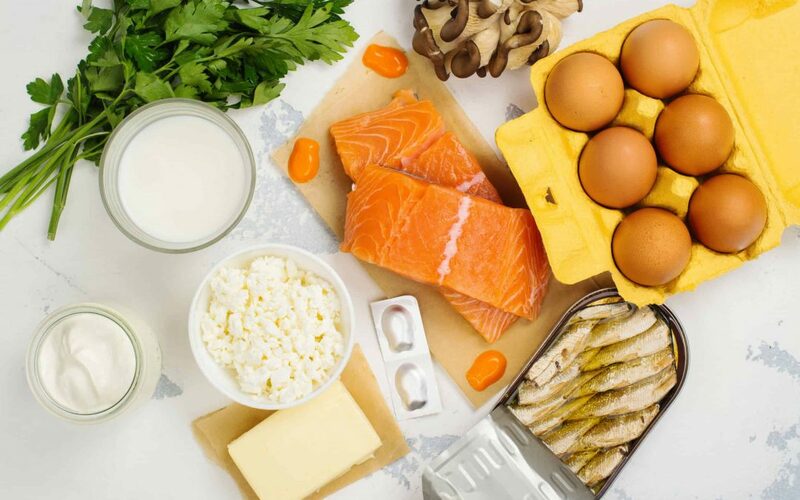 It’s not always easy to meet all of your nutritional needs, but you can supplement your vitamin D with the foods mentioned above. Get as many of these foods onto your plate as often as you can, and you’ll be making some real headway to maintaining your vitamin D levels.